Oh the joys of a relaxing smoke after a hectic day! Most cannabis enthusiasts will likely agree, that nothing can make for a better good night’s sleep than a dose of some good herb in the evening. But did you know that there is a lot more to the fascinating relationship of cannabis and sleep? Read on to find out how cannabis affects sleep. Talking about the benefits of cannabis and the many reasons why people enjoy it, sure would justify an entire book on its own. But one often given reason why people like marijuana is that it can be an excellent sleeping aid. If someone suffers from insomnia or other sleep-related problems, all they’d often need for a good night’s sleep is some herb and they get the same (and often better!) effect than a pill could ever provide - minus all the disadvantages! However, there’s much more to this interesting relationship of cannabis and sleep, than what most people might assume. For starters, you may perhaps know, that not all cannabis strains would necessarily make you sleepy. Obviously you’d want to know about which strains to choose if you have sleeping troubles. Then, there is the fact, that cannabis can also affect your dreams. Here in this post we want to take a closer look at the fascinating role cannabis has on our sleep. Indicas are normally thought to be typical “nighttime strains”. People love indicas for their heavy “stoned” effect and that they can make them sleepy, so they can get a good night’s rest. Sativas on the other hand are known to have a more energetic and uplifting effect, which makes them ideal for daytime smoking. It is still not entirely understood what exactly makes indicas the better strains for sleeping, but one theory is, that it has to do with their terpene content. Terpenes are the aromatic compounds produced by cannabis strains, that are responsible for the aroma and flavour of a strain, among other things. The theory goes, that it is the terpenes, which are ultimately responsible for the sedating effect and that sativas normally contain less, which would explain the difference when it comes to their effect. If you have sleeping troubles, you may want to take a look at our recommended cannabis strains for insomnia. Cannabis is not the only plant that contains terpenes, the compounds, that are believed to play an important role in the effect of cannabis including its ability to make us sleepy. Natural remedies, such as chamomile, lavender or hops also contain terpenes. What’s interesting here, is that these terpenes form a beneficial synergy with the CBN in cannabis, enhancing their effect. Or said differently: Smoking some herb together with a cup of chamomile tea can make for the ultimate sleeping aid. The two main active compounds in cannabis are THC and CBD. The THC in cannabis is the compound, that makes you high and at some point (likely) also sleepy. 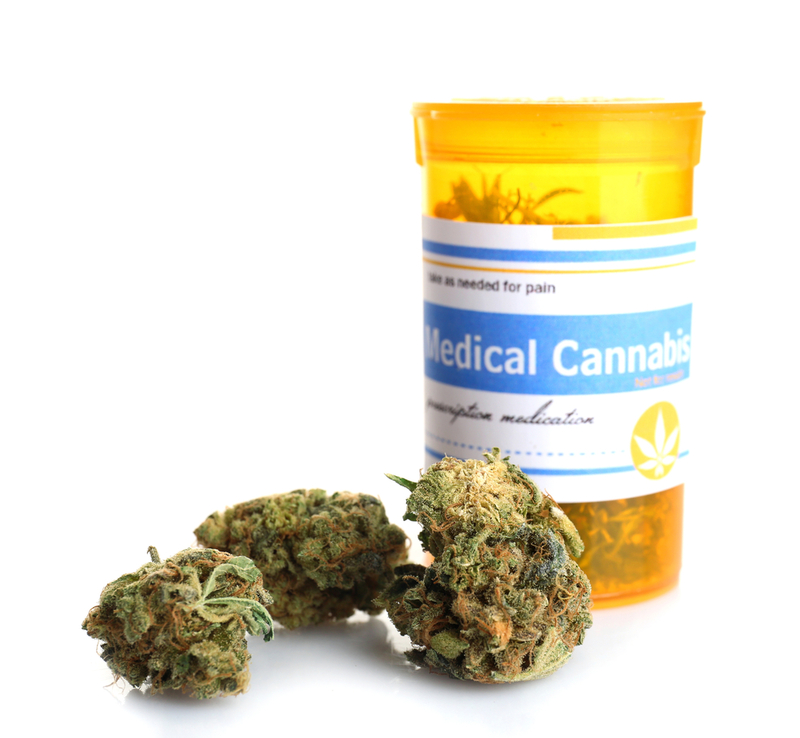 If you look at the various strains, that are available, you will find some strains that are high in THC, others will contain more CBD and some strains where the two are in balance. What’s interesting about strains that are high in CBD, is that they had been found to increase daytime alertness, which is pretty much the exact opposite of what you’d get from smoking some THC-heavy strain. People who suffer from daytime sleepiness may want to look into CBD strains. Science made a curious discovery not long ago about the sedating effect of aged weed. It had been observed, that when THC degrades over time, that it turns into CBN, a compound, that is five times more sedating than THC. There is just one drawback: The conversion from THC to CBN via oxidation and other natural processes takes a very long time. One researcher reported results by packing some high THC weed into a bag which he stored in a dry and hot environment for a few years. Afterwards, up to 5% of the THC in the weed had been converted into CBN making for some potent natural sleeping aid. In other words: If you have sleeping troubles, old weed may just be the best thing! 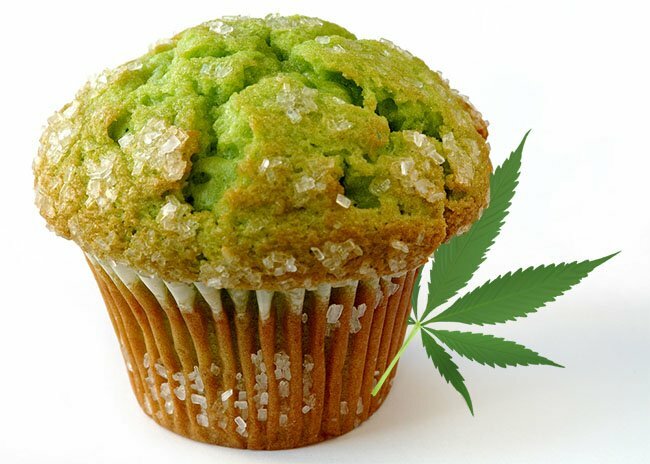 Edibles may take longer to kick in, but then their effect can last many hours as compared to smoking or vaporizing. For those who are suffering from sleeping troubles, especially for those who wake up prematurely and as a result don't get enough sleep, edibles can be a way to get a longer-lasting relaxing and sedating effect, that will last the entire night for a longer good night’s sleep. Fortunately not all people suffer from “cannabis hangover”, but some do, especially when they smoke at nighttime. If you feel like having a hangover from cannabis in the morning, there can be many reasons for that. Some common reasons for a “not so nice” morning-after could simply be low-grade weed. If you experience a hangover, try whether some other type of weed would be better. Most importantly, the reasons for hangovers with cannabis are often the same as with drinking alcohol. Make sure, that you drink plenty of water and make sure that your diet and general lifestyle is healthy and balanced. This is often all that’s needed to prevent cannabis hangovers. While cannabis in general will help you to sleep better, it has the curious effect, that it can make you have less dreams. The reason for this is, that cannabis affects what’s called the REM cycles during sleep, the phase during sleep when we are dreaming. An even more curious fact is, that folks who used to smoke a lot of cannabis for years and stopped for some reason are often reporting a lot more and more intense dreams, an effect that’s known as “REM rebound”. who are suffering from sleep apnoea. This is a condition where the sleeper may frequently wake up at night due to difficulties breathing, with all the negatives associated with it, such as fatigue and sleepiness during the day. 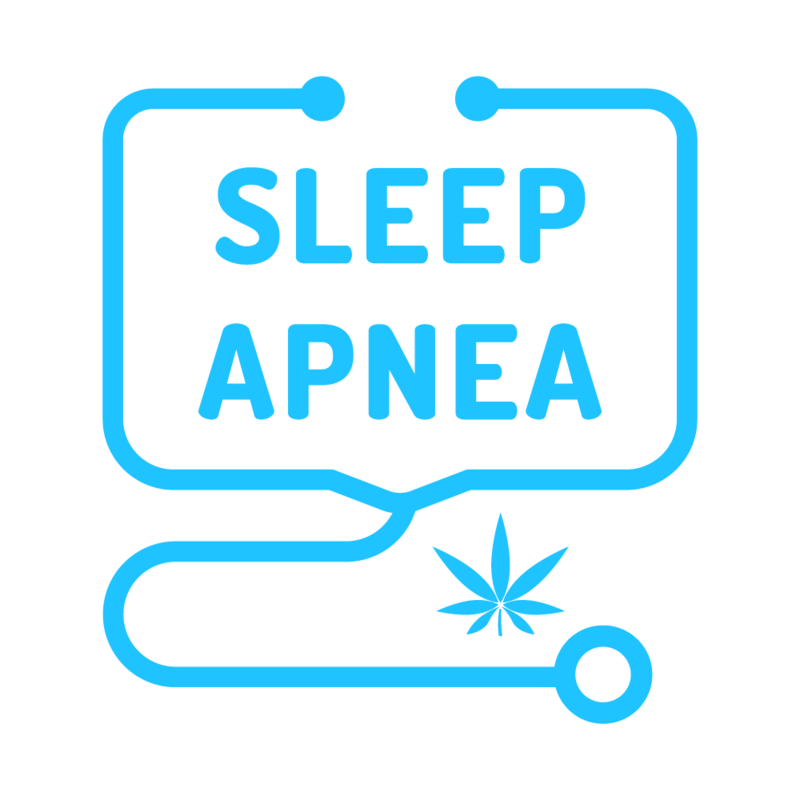 Studies with an artificial THC compound had been conducted where the researchers noted, that THC has the ability to provide respiratory stability during sleep, although more studies on this are needed. CAN CANNABIS CAUSE SLEEPING PROBLEMS? One recent study conducted in 2014 contradicts the above in regards to taking cannabis as a sleeping aid, although the results of this study should possibly be taken with a pinch of salt. Scientists surveyed a group of cannabis-using teenagers and examined their sleeping habits. The study concluded, that there is evidence, that cannabis caused sleeping problems, especially among young teenagers. The results of this study however don’t tell us whether the teens took cannabis because they already suffered from insomnia or whether it was their use of cannabis that brought it on. Obviously there is more research needed as well. Scientific research on the subject of cannabis and sleep is still in the early stages, but there is no question, that this is a fascinating relationship, that deserves to be looked at. What are your experiences with cannabis and sleep? Does weed help you sleep better? Feel free to let us know in the comments!